to really nail how shocked I am. 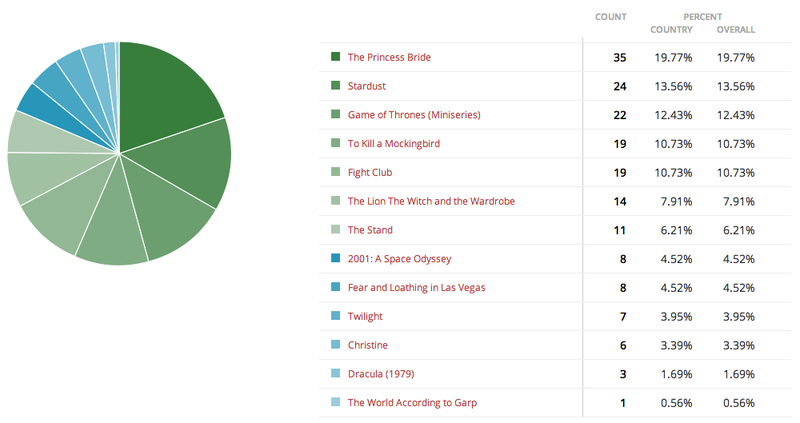 Everyone act very shocked now--The Princess Bride won our poll for the best movie adaptation. Everything interesting in this poll happened below the number one slot, unfortunately. The Princess Bride took an early lead and never let go. But that didn't mean there weren't several tight races. To Kill a Mockingbird and Fight Club ended up tied, and Stardust pulled out a few 11th hour votes to come from behind Game of Thrones and take second place. Thank you all so much for participating!!! 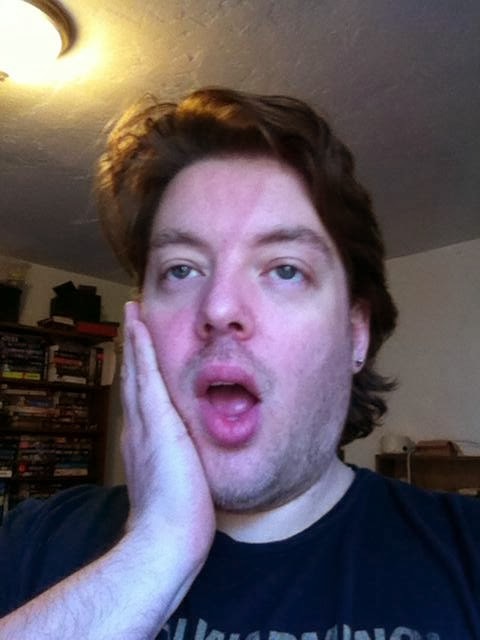 However, I'm not sure I'm going to do movie polls anymore. It got a good response in terms of voters (close to 200!! ), but I think a lot of my regular readers were pretty tepid. Lets go back to books! So if you're one of the people who likes to complain about what's missing from these polls, go over and take part in the March poll nomination process. (I had one guy absolutely ream me in e-mail for not having The Maltese Falcon--I mean it was like a full paragraph of my dereliction of duty to cinema and literature and my crimes against nature. Seriously brah,"Get a Delorean or call The Doctor because the only person to blame for that is you from four weeks ago.") It's best Scifi series from what is (probably) your childhood--70's/80's/90's.